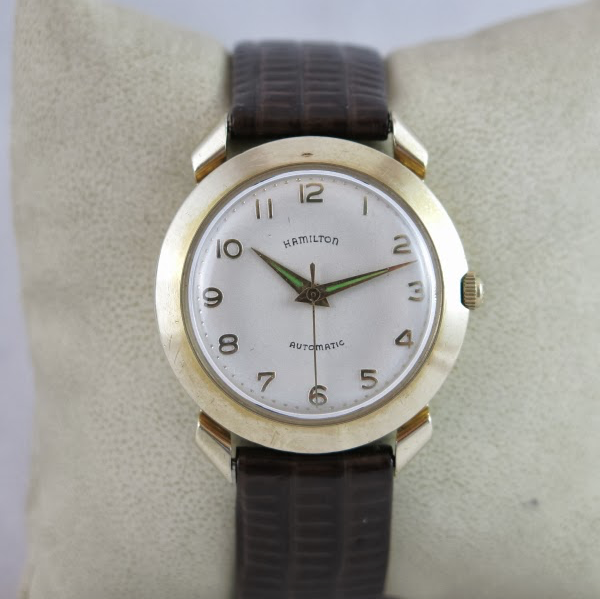 The Automatic K-455 is an interesting watch. It was introduced in 1956 and produced for three years. 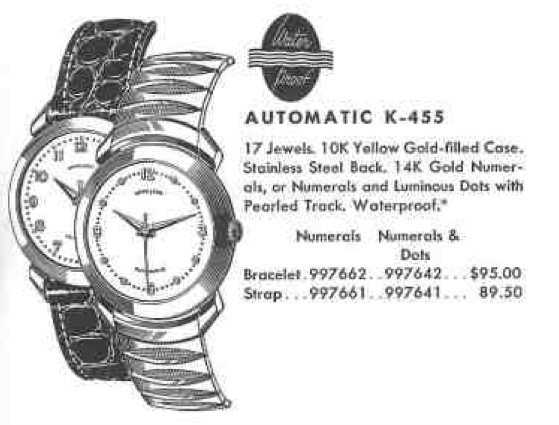 As you can see in the catalog, it came with two dial patterns, all numerals or with numerals and luminous dots. Both dials have a pearled minute track to match. 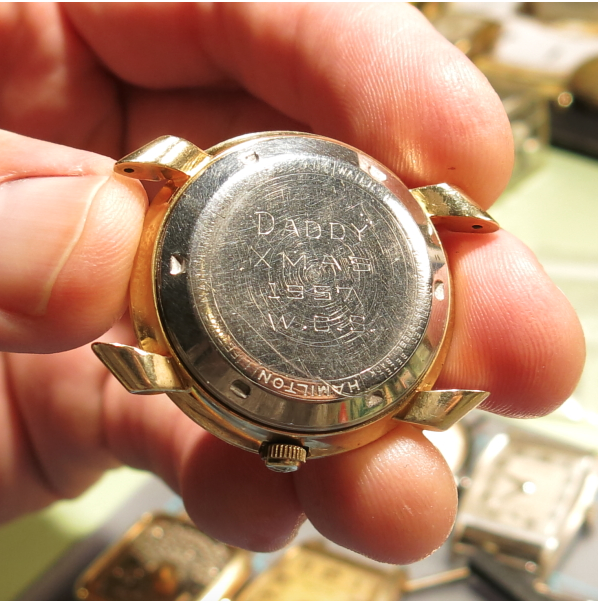 The case is 10K yellow gold filled and one of the interesting facts about the watch is it shares a case with another model - the Transcontinental A. 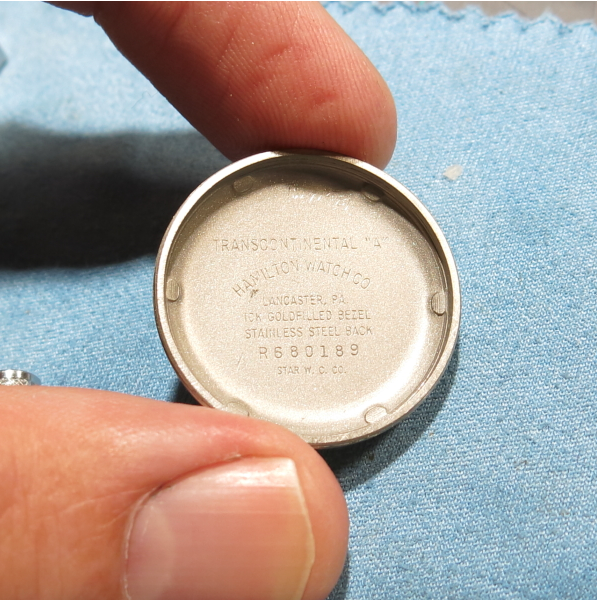 In fact, Hamilton didn't have enough K-455 case backs (or they had too many Transcontinental A backs) because you will find the K-455 often has Transcontinental A stamped into the case back. 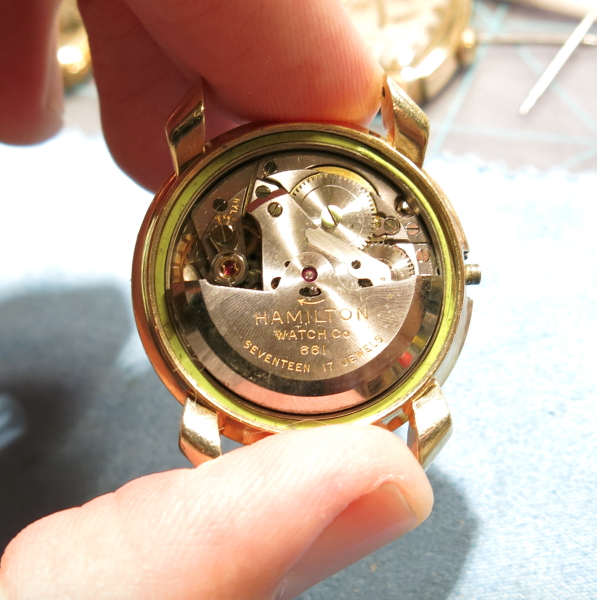 Inside you'll find the 17 jewel Hamilton 661 movement - a very popular KF movement used in lots of Hamilton automatic models in the 1950's. I recently picked up a K-455 project watch. 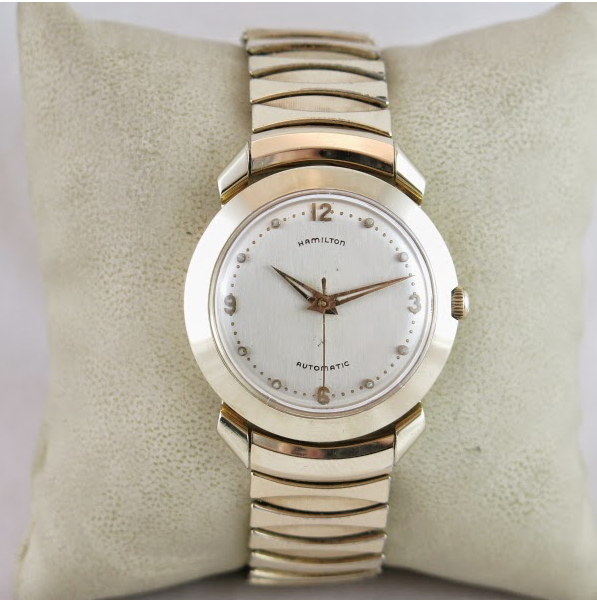 As received it had a serious case of "dial rash" which means this watch must not have had a crystal for quite some time. The crystal on it was very nice so it must have been a recent replacement. I'm a sucker for Christmas watches and I will usually make a run at one like a trout goes after a mealworm. The 661 movement is a big and chunky movement - it requires a deep case so most automatics from the 1950s are fairly thick. That's probably why the Thin-o-matics were introduced soon after. Here's a better shot at the dial. It's funny how the grime doesn't tend to form around the numbers… ever notice that? I'll try to clean it but I don't want to loose the printing as getting a pearled track dial redone doesn't always work out well. As you can see below, the inside of the case back is stamped Transcontinental "A". And here's the finished product. The dial cleaned up okay but not great. It looks better than my light box makes it out to be. I also relumed the hands so they will glow in the dark again (when charged by light first). 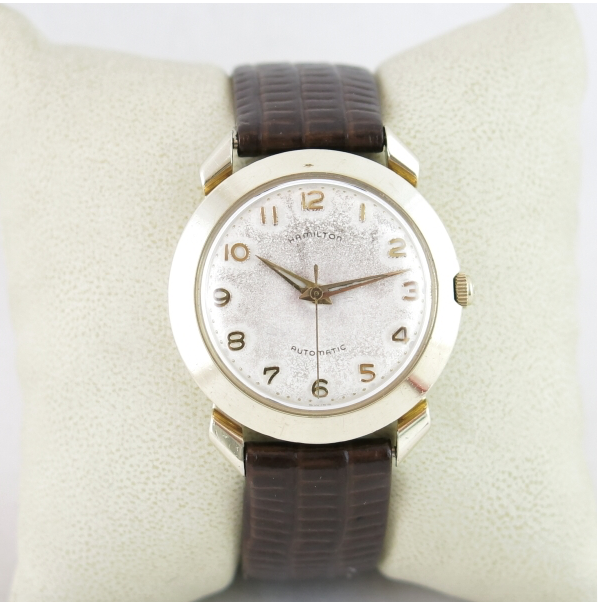 There's a case ding just above the 12 - this watch must have had a rough life and it's showing it's age a little. The slightly dingy dial fits right in. The K-455 is a nice looking watch. You don't tend to see them very often though so if they're not considered to be rare, they are definitely uncommon. UPDATE: I decided to get this dial redone and I sent it to Eagle Dial (google them for contact info). I had never used them before and they did a decent job. The only thing I would improve if I could was the font used is a serif font and should be sans-serif. But other than that, they did a great job. UPDATE to the Update: The green hands were a bit of a distraction so I redid them with white lume. I think it looks much better now. 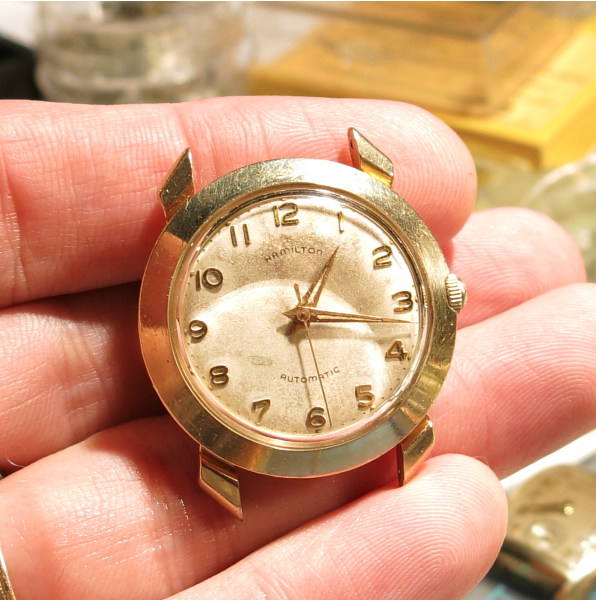 I happened upon a K-455 project watch with the other dial option, and it came with it's original Kreisler bracelet to boot! Great post, Dan. 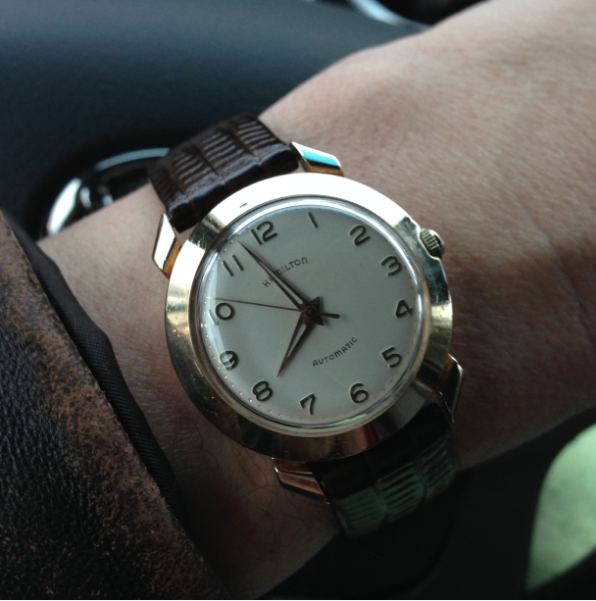 I have my grandfather's K-455 (luminous hands/dots and original bracelet), and I recently had it serviced, but I hardly wear it due to the radium lume. At some point, I'm looking into getting the lume removed and redone, but I want the dial left original, and I'm not sure of anyone who will remove old lume and won't refinish the dial, too. 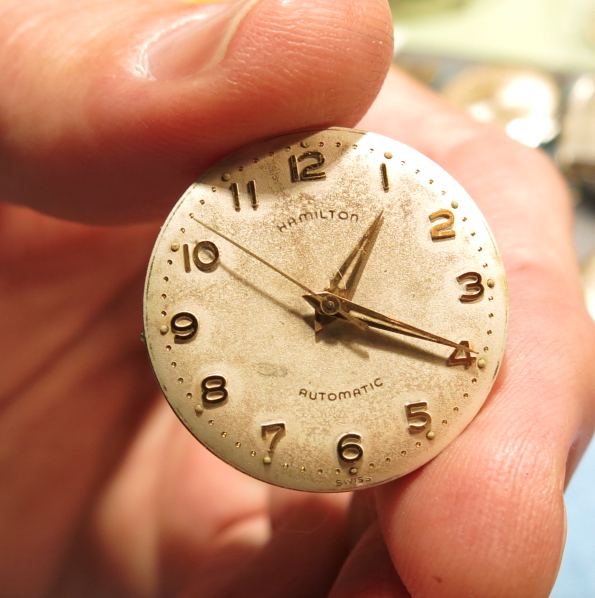 The radium isn't much to worry about when it's enclosed in the watch. The case and the crystal block the radiation. Radium exists naturally all over the world and comes out of the ground in the form of radon gas. You can wear the watch as much as you want, Just don't eat it.